The Stéréo Alain was produced in France in the early 1950's and is constructed from plastic. As with many French stereo viewers this one was sold at Lourdes and many of the film subject titles are of that area. 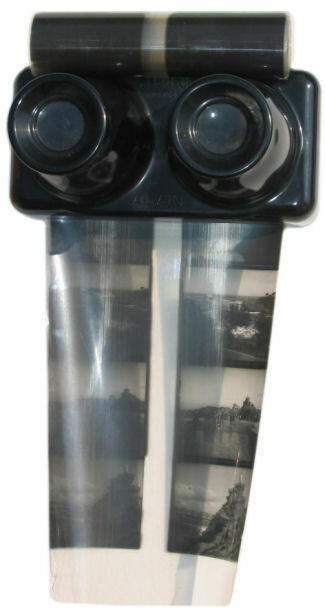 The viewer used roll film that was fed into the top of the viewer and then manually pulled down through the viewer. A common problem with these viewers is that the light diffuser material deteriorates with age and takes on a rippled look. The diffuser must be in good condition for this viewer to retain it's value. 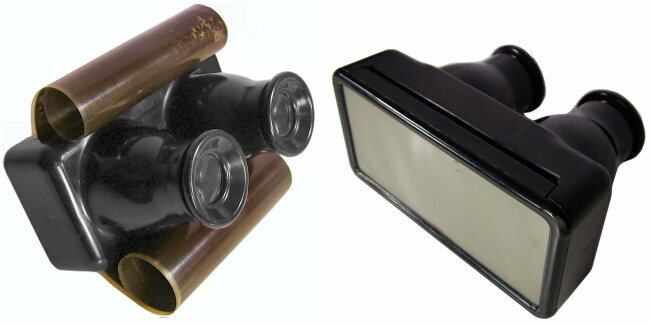 The packaging used by the Stereo Alain looks very similar to that of the Célde viewer, also manufactured in France and this may possibly suggest a link between the two brands.